The last Christmas trees have arrived onboard: in Santa Cruz de Tenerife, AIDAcara received a Christmas delivery of 13 Nordmann firs from Germany. The trees have been festively decorated and placed in the theater, restaurants, the bars and, of course, in the Kids Club. Christmas Eve is heralded in on all AIDA ships with a Christmas dinner: From tender roast goose with red cabbage and dumplings and traditional carp, and caviar buffet to crispy gingerbread houses, AIDA restaurants are serving up all kinds of culinary delights. The AIDA show ensemble and the crew ensure continued holiday spirit with the Christmas Party to follow. Singing traditional carols with guests and having the children put on a nativity play provides an onboard atmosphere that is full of holiday cheer. AIDA came up with an exciting program specifically for kids and teens. On Christmas Eve Santa Claus arrives to hand out presents. Youngsters can even spend the night in the Kids Club afterwards. While parents spend a carefree evening together, the children can enjoy Christmas stories in a cozy atmosphere where they will be tucked in safe and sound. 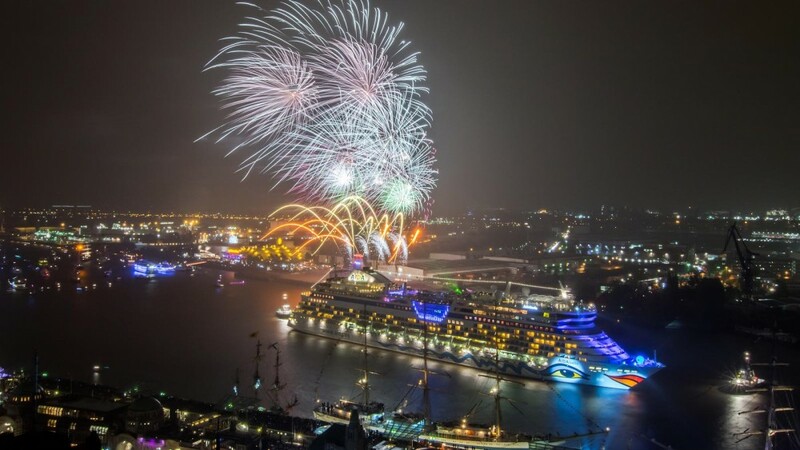 AIDA Cruises has a highlight in store for everybody at home this New Year’s Eve: For the first time, AIDA will be bringing the unique festive atmosphere on board AIDAsol into your living room. On New Year’s Eve, starting at half past midnight German time, the crew will be broadcasting live from AIDAsol in the Port of Funchal on Madeira. At midnight local time (one hour behind), fireworks will be set off at about 50 different spots on land for a spectacular fireworks display that is one of the best and largest in the world. AIDA fans can watch it live online at www.aida.de, on smartphones or by using the AIDA SmartTV App and ring in the New Year together with guests and the crew of AIDAsol. New Year’s Eve is traditionally celebrated with much color and cheer, fireworks, jelly-filled doughnuts and close friends. In keeping with the spirit, AIDA ships will also be having a glamorous New Year’s Eve celebration on board. An excellent New Year’s Eve menu including a caviar buffet will leave no culinary desires unfulfilled. The AIDA fleet’s stages will provide a festive New Year’s Party with live music, shows and the AIDA show ensemble for guests to enjoy. Onboard DJs will then step in to keep up the festive atmosphere, followed by a special time for New Year’s Wishes to officially usher in 2016. AIDA came up with an exciting program especially for kids and teens. After the festive meal, Kids Club kicks off a great New Year’s Eve party for little guests complete with a disco, fruit punch and jelly-filled doughnuts. Youngsters can even spend the night in the Kids Club on New Year’s Eve.